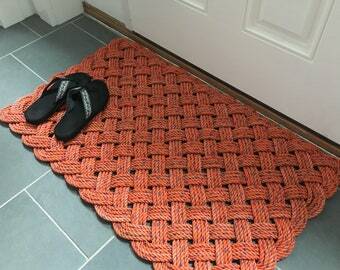 There are 4 passes of upcycled lobster rope used to construct the mat. The colors are solid green boarder passes and gray/green middle passes. 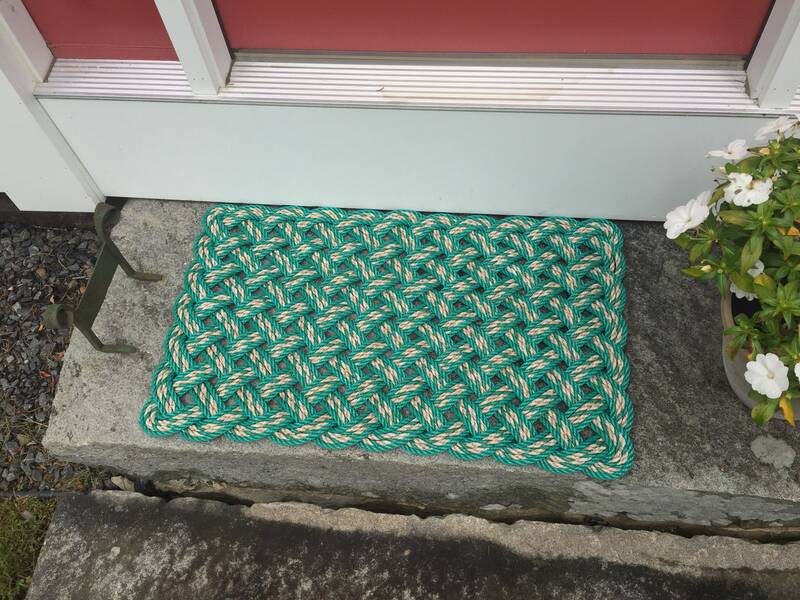 The pictures shown are the exact mat you would be purchasing.